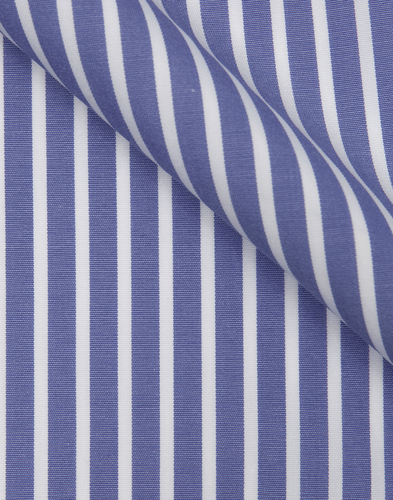 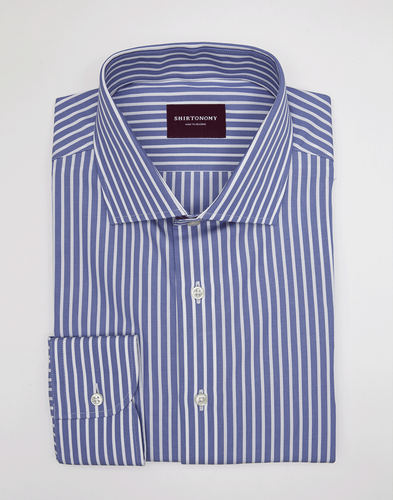 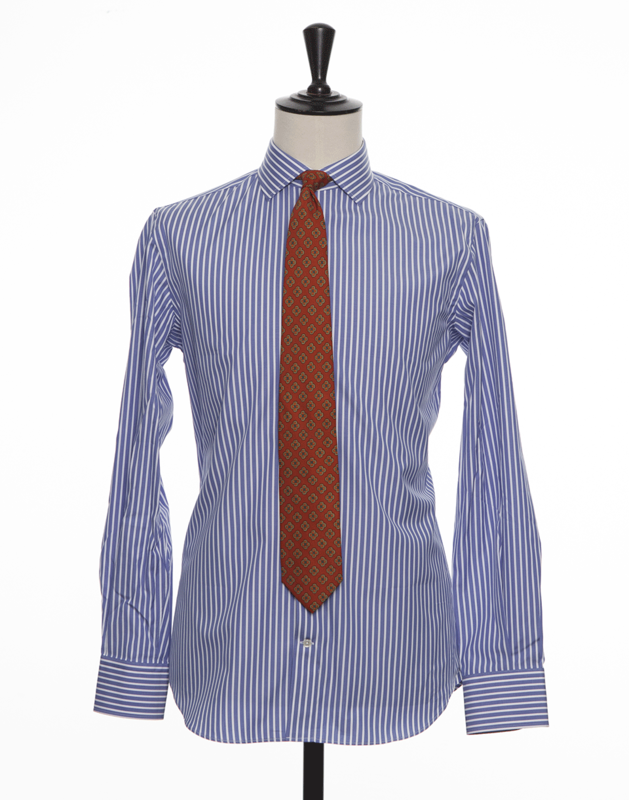 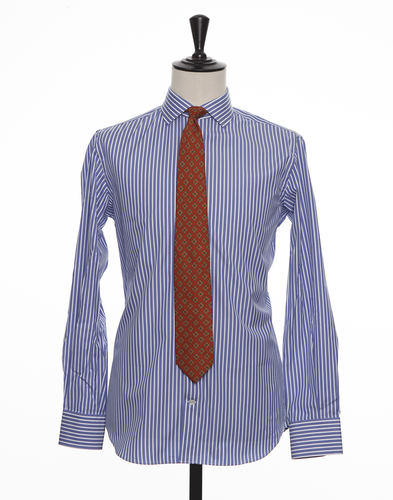 A wide striped, medium blue, poplin fabric. 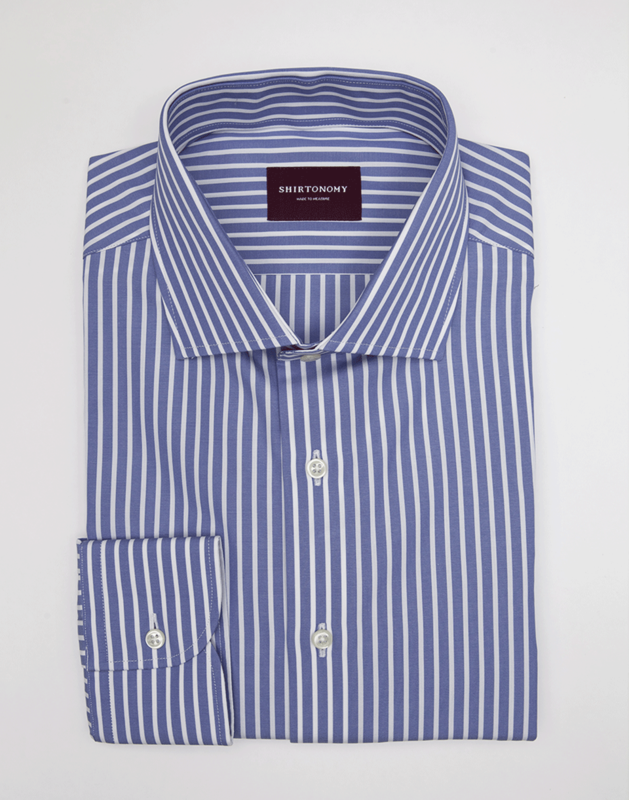 The pattern is versitile and works well with in both formal and casual settings depending on your choice of collar and cuff. 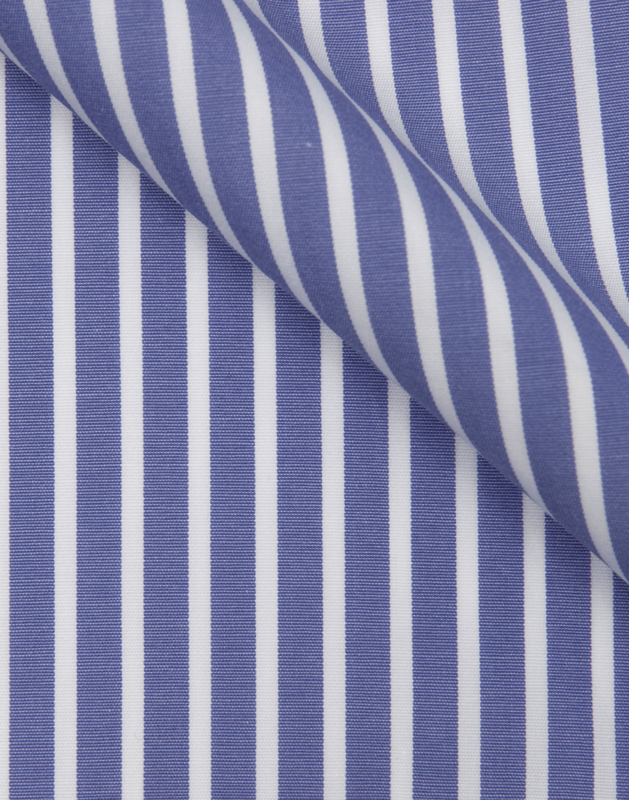 The fabric is woven in Portugal with 2-ply long-staple cotton.